Czech children are often fed-up with the school. Bangladeshi children from the Chalantika slum dream about going to it. Children from the Chalantika slum go to school hungry and the food they get at the Centre (mostly rice, red lentil, vegetable) is often only meal. A uniform for students help to eliminate social differences – all children, no matter how rich is their family, wear the same uniform. assist children with their study. They also learn about health, hygiene, and their rights. 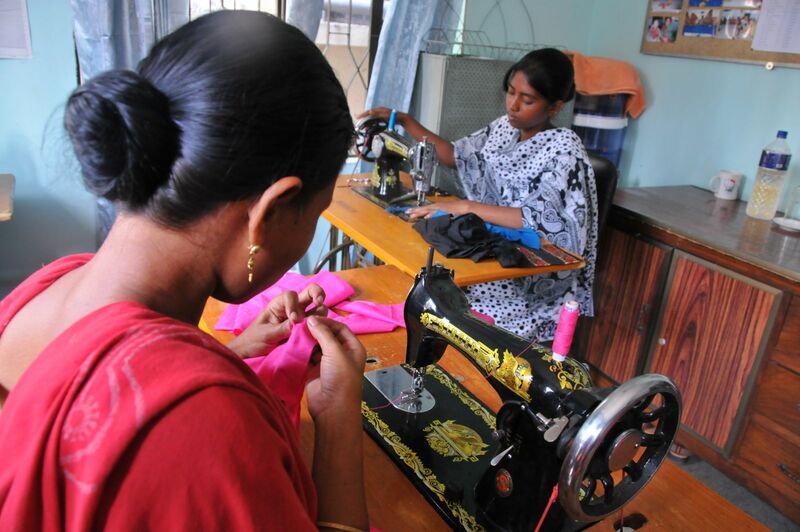 To the practical skills in Chalantika belongs hand as well as machine sewing. Your donation will cover the cost of three-month tailoring course for one mother, sewing supplies and materials, salary of trainer and 60% of the price of the sewing machine. Families from the slum live in bad conditions and cannot afford regular medical care. Chalantika offers free preventive check-ups and treatments. Chalantika focuses on quality education – one class has around 20 students and teachers attend courses to improve their teaching methods. If you wish to support young pupils and their parents by different financial amount than listed above, just click here and write the amount of the donation.